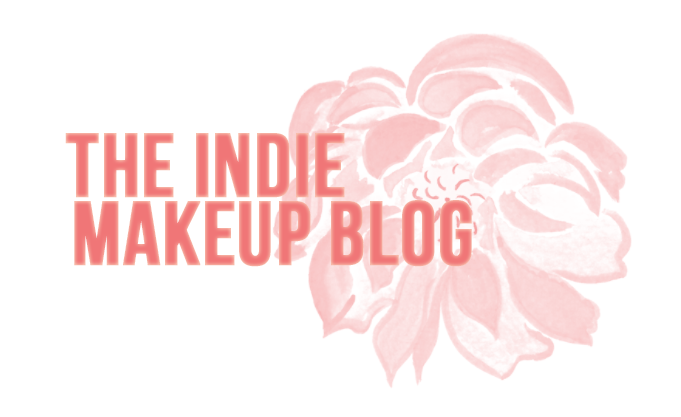 Femme Fatale Cosmetics is in my opinion, one of the indie makeup heavyweights, known for their pigmented formula and uncoventional duochromes. 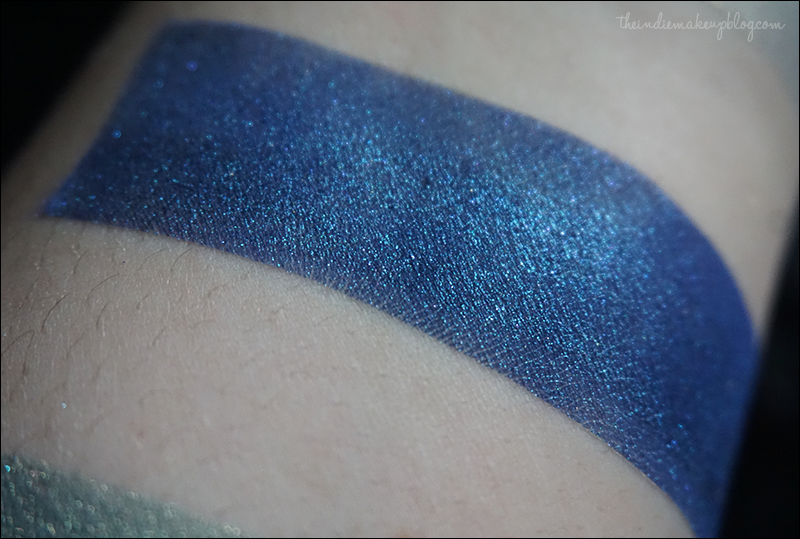 Based out of Australia, Femme Fatale offers a full lineup of shadows, blushes, nail polish, and also stocks several other brands including Hello Waffle, Shiro, and Glamour Doll Eyes. As the company is Australian, all pricing is in AUD. Shipping to the states and internationally is pretty reasonably priced. The U.S. dollar is quite strong against the Australian dollar right now, so this would be a great time for American buyers to try them out. For my international friends, your money will go further with them right now as well. Shipping does typically take about two weeks to make it to me from Australia but FF makes up for that by having a short TAT, which is currently five business days. I did these swatches a while back but I have another FF haul coming soon that I'll be swatching and incorporating into my makeup looks! 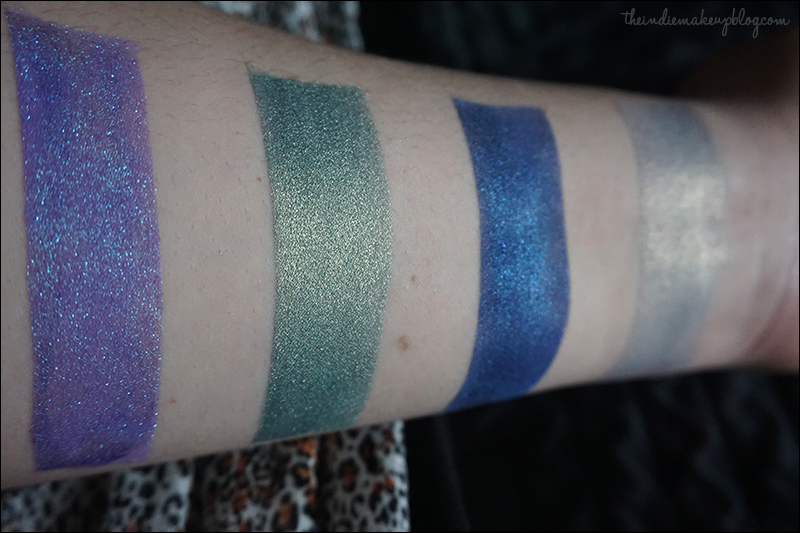 As per usual, these are swatched over UDPP and Darling Girl's Glitter Glue. From left to right: Inner Sarrow, Planeshift, Dreamstate, Moonglow. Moonglow is a subdued pale blue with a white gold shift. One of my absolute favorite blues. It looks beautiful all over the lid or used as an inner corner highlight. What I like about this shade is that it's not so blue that it becomes garish or too bright. The white gold shift is super pretty and noticeable even without a sticky base. 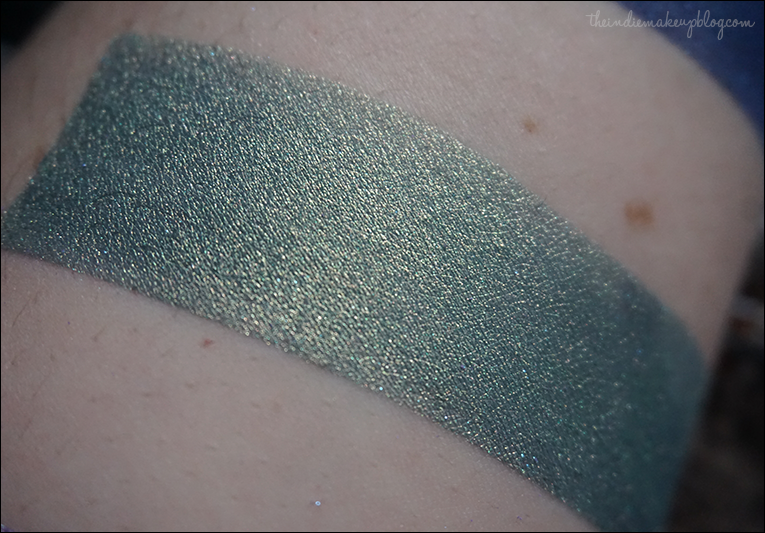 Planeshift is a medium jungle green with a gold duochrome. The shift is also very prominent in this shade. I like to pair this shade with other golds such as Shiro No Me Like Me or Ten Three Labs Hatchepsut. It lends itself to cool golds very well. Dreamstate is a sapphire shade with lighter blue shimmer. No duochrome on this one but beautiful nonetheless. The shimmer gives it a glow-from-within effect. This is probably my most reached for dark blue. 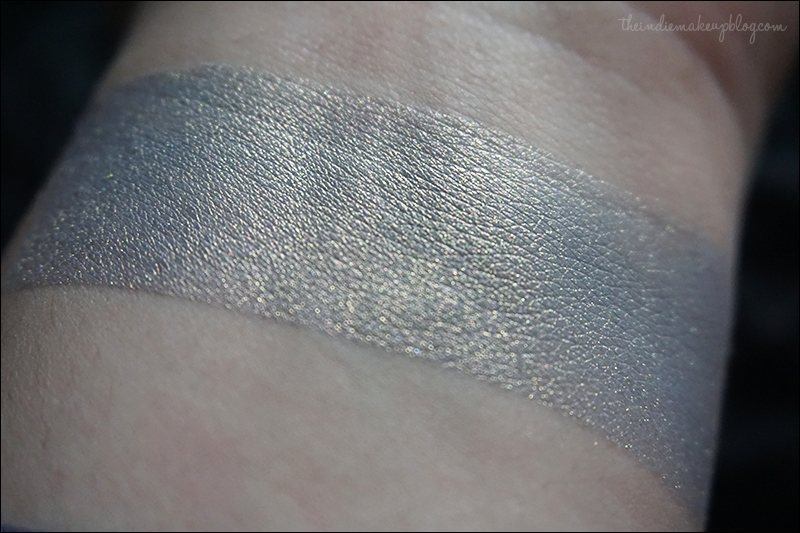 One of my go-to looks uses this in the crease and other corner with Moonglow all over the lid. Easy peasy and very glowy. 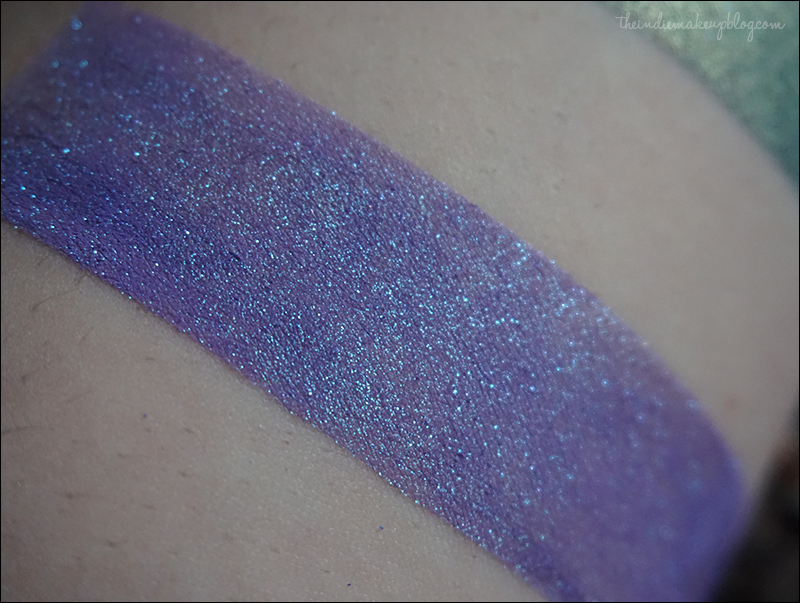 Inner Sarrow is a brightened lavender with heavy blue glitter. 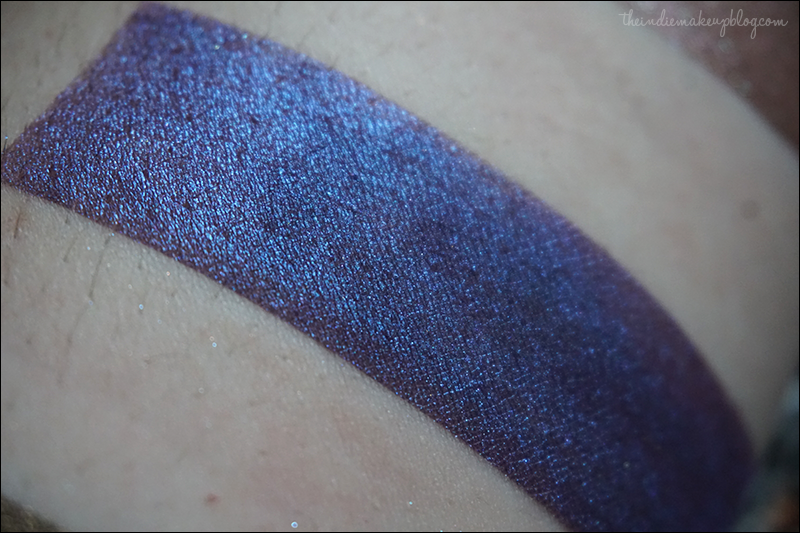 This is a beautiful glitterbomb and exactly what I wanted Shiro Alkahestry to be. I'll admit that I haven't used this shade a whole lot but I do like to mix it with Darling Girl Superstar Serum to make it into a nifty liner. From left to right: Temporal Shift, Sea of Something, Tiny Manticore, Royal Tarts. Royal Tarts is a pinky mauve base with heavy pink iridescence. This shade, along with the next two, is part of the Post-Apocalyptic Collection based on the show Adventure Time. This collection has a number of absolutely fantastic shades and is hands down my favorite of theirs. I love to wear this shade with Tiny Manticore. Tiny Manticore is a warm brown with a taupe shift. If you like taupes or neutrals, you NEED to get your hands on this shade. 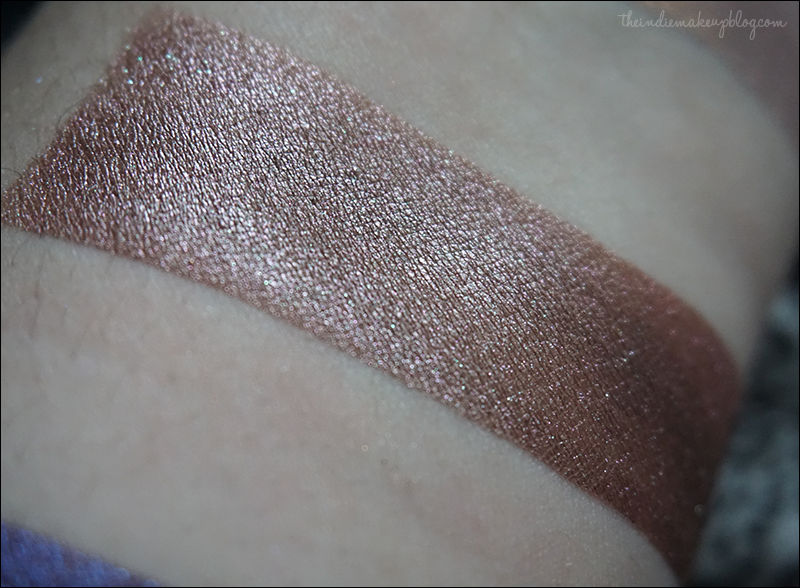 It's deep enough to wear in the crease without looking too dark and dramatic. It looks especially good with pinks, which Femme Fatale has an abundance of. Sea of Something is a deep purple with a strong sapphire shift. The duochrome is strong with this one. If someone asked me to recommend a shade that demonstates the superb quality of Femme Fatale's duochromes, it would be this shade. 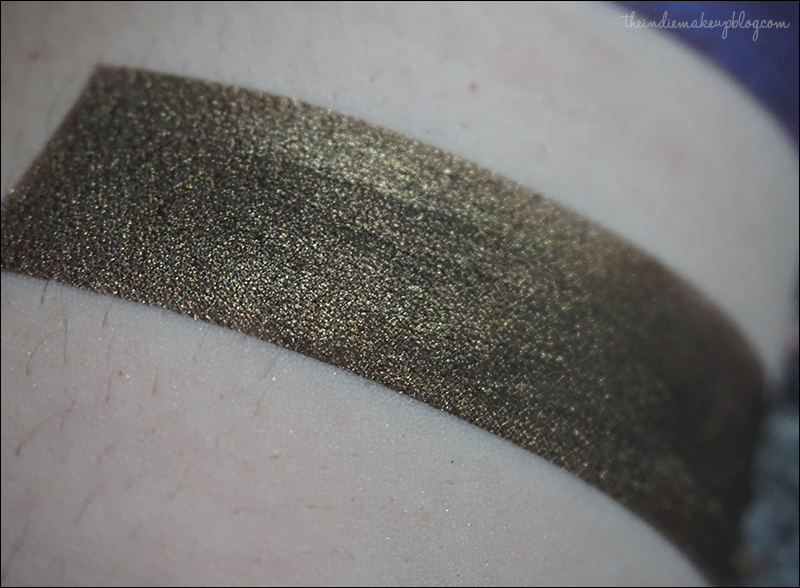 Temporal Shift is a blackened brown with heavy gold shimmer. 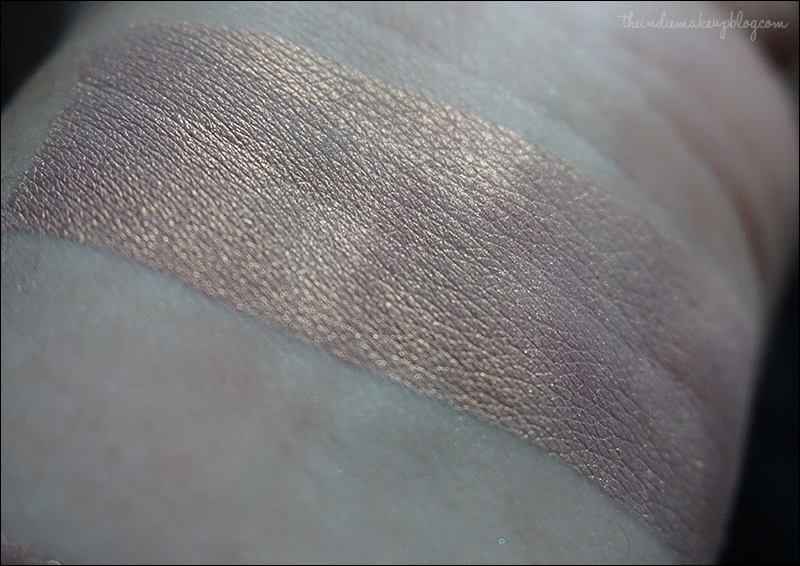 As you can see, the gold shimmer is pretty intense. I like to use this shade in my crease and outer corner. I also use it frequently on the inner and outer corner of a halo-style eye look like this (not my photo). That's it for today! 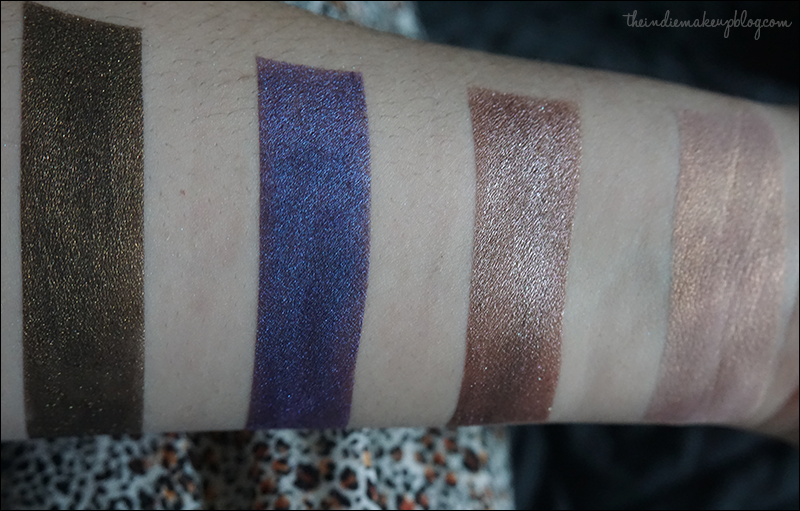 I'll be posting my FF swatches in installments since I have quite a lot to get through. Thanks a lot! FF makes the best duochromes in my opinion and are just all around fantastic products. It's a bit costly to ship but with the USD being strong against AUD, it's a great time to purchase from them.